Haven't been travelling to the corner 1st floor of JEM for quite sometime and notice that there were quite some changes and that includes new eatery like Kogane Yama. As Kogane Yama was specialized in Premium Tendon Bowls, the menu selection can be quite limited for some. In fact we had chosen their Donburi Sets instead. Let's take a look at what we had ordered. Simply love the Aburi flavours and texture on pieces of half grilled salmon. 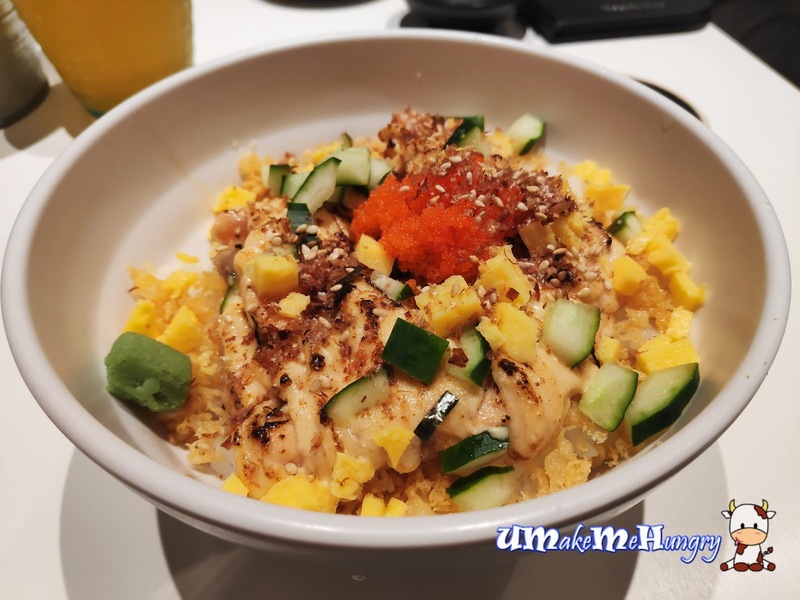 The rest of the ingredients include torched Mentaiko Sauce, cucumber, tamago and rice. Tamago and cucumber were cut into smaller cubes. Tempura Crispy bits were included and it gave another level of crunch in the food. Eel with scrambled eggs was great and eggs were the kind of soft watery type with onions. 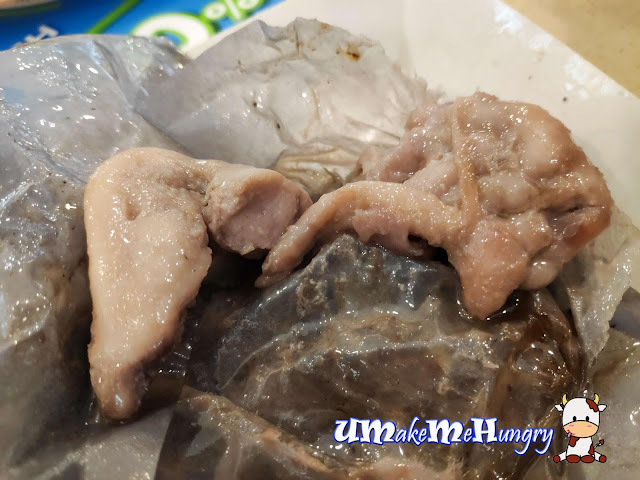 Eel was served in several pieces and we satiate our taste buds in the soft, mild richness from its sweet tasting sauce. 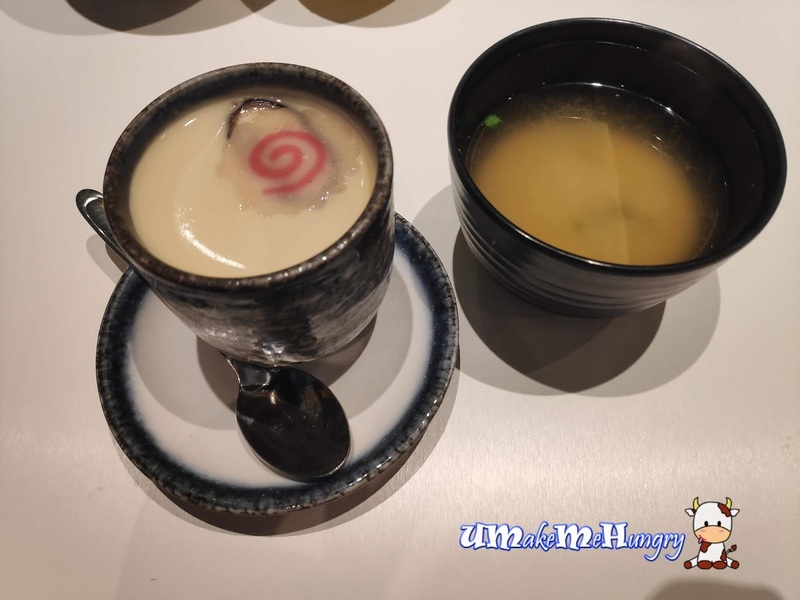 Adding on to the meal at $3, we get to enjoy a bowl of Chawanmushi as well as a bowl of Miso Soup. 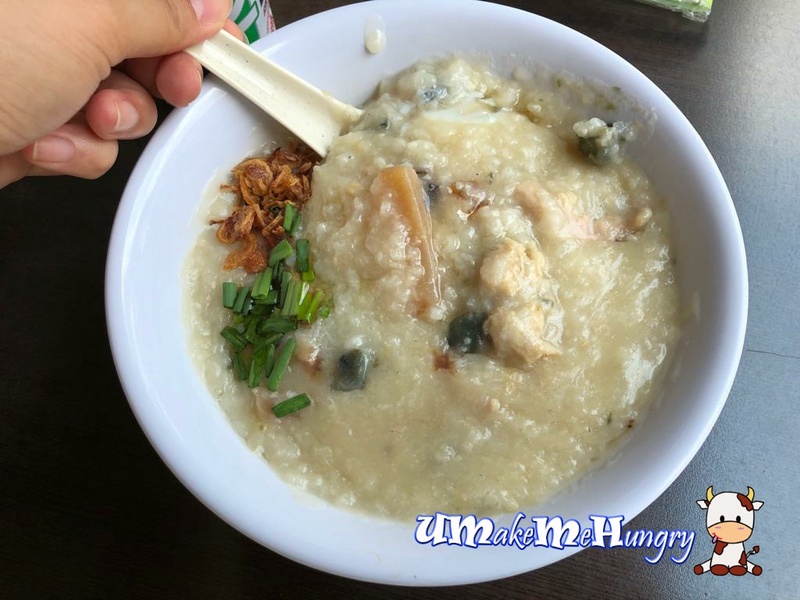 Chawanmushi was well flavoured with fishcake, mushroom and chicken as ingredients. For simple and nice Donburi, I dont mind having Kogane Yama back in JEM again. 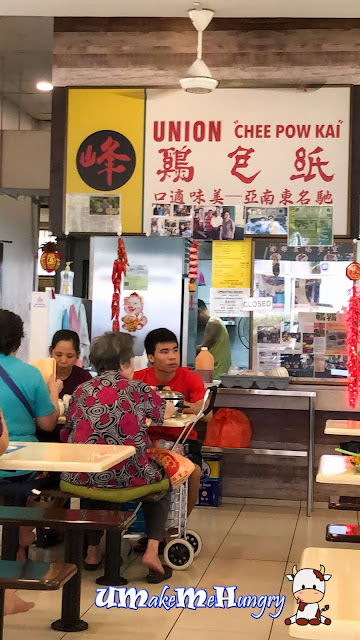 Checking out the popular Cheng Tng that people rave about and yes all the way in the East at Bedok. I'm pretty surprise by the number of people waiting outside and as soon as the shutters open, patrons rushed in and form the snaky queue orderly. Let's dig in and check out why this classic bowl of dessert have lured so many supporters. 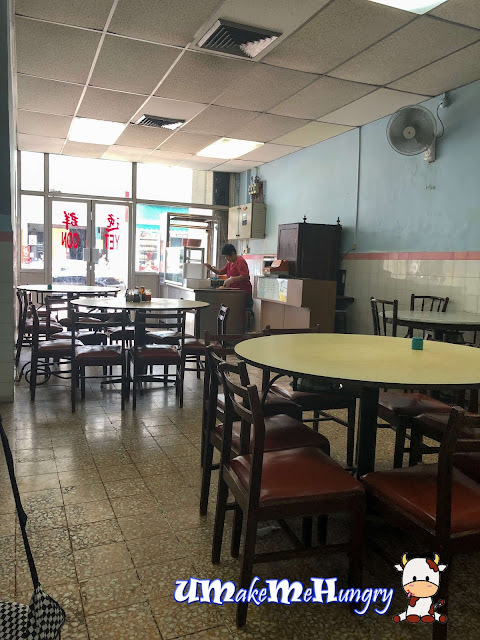 I was kind of disappointed with the Cheng Teng and had expected something out of the ordinary. 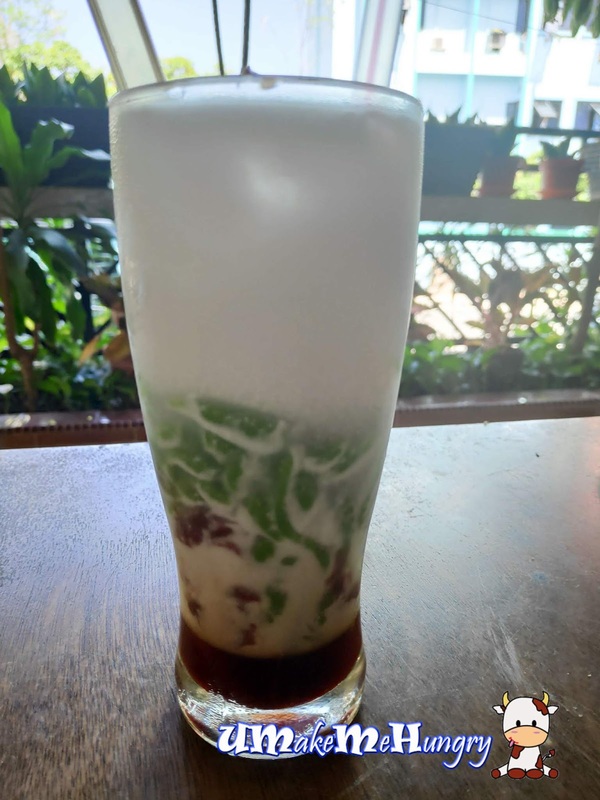 Nevertheless I would say, its still taste comfortably good at the right sugar level with generous ingredients included. They even had them stated on their signboard which include, Longan, Gingko Nuts, Dry Persimmon, Winter Melon Sugar, Sweet Potatom Pang Da Hai and Snow Fungus. 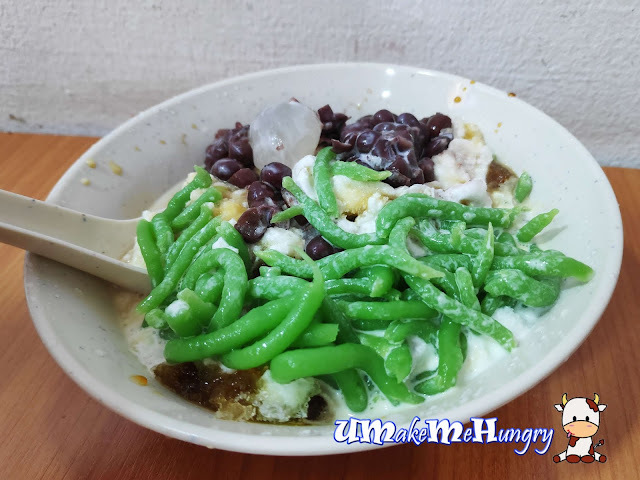 Just like any other bowl of Chendol with Attap Seeds, green coconut jelly and red bean and gula Melaka blanketing the shaved ice. It's nothing out of the ordinary but if you love Attap Seeds, you can find about 3 in there. 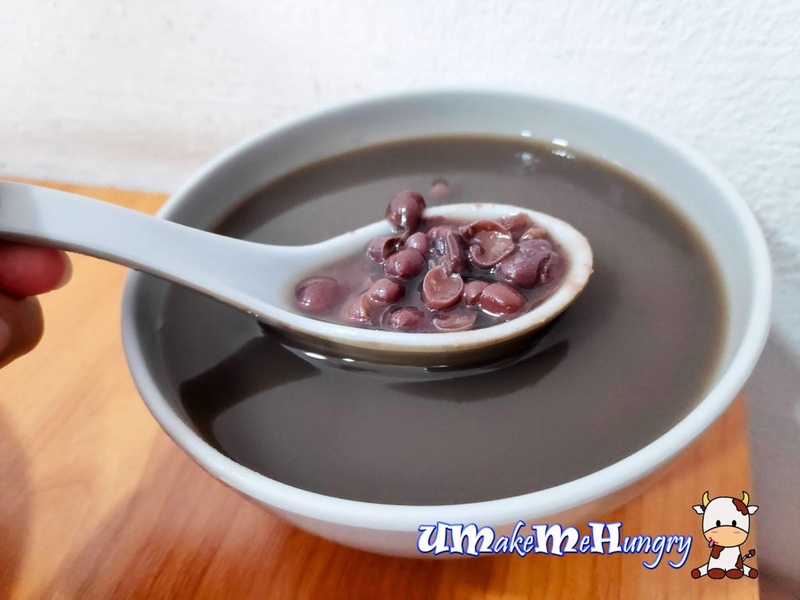 Their red beans size are bigger than the usual ones we had and soaked in mild sweetness soup. In my opinion, my taste buds would go for 4 Seasons Cheng Tng. 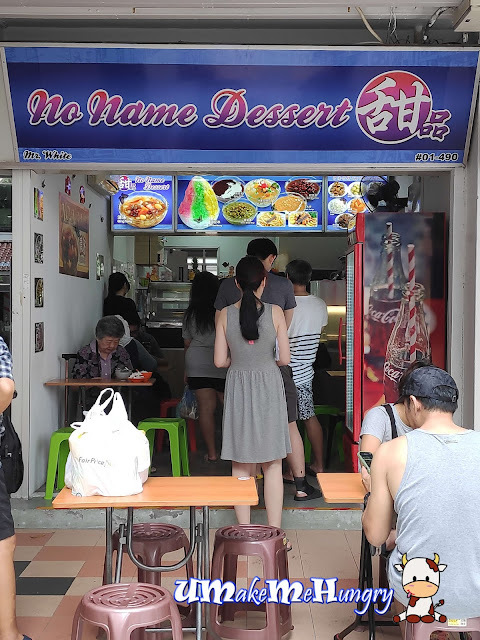 Nonetheless No Name Dessert still have their died hard supporters queuing up and you can see that most of them are ordering as taking away. Special Thanks to the local friends who brought us here. 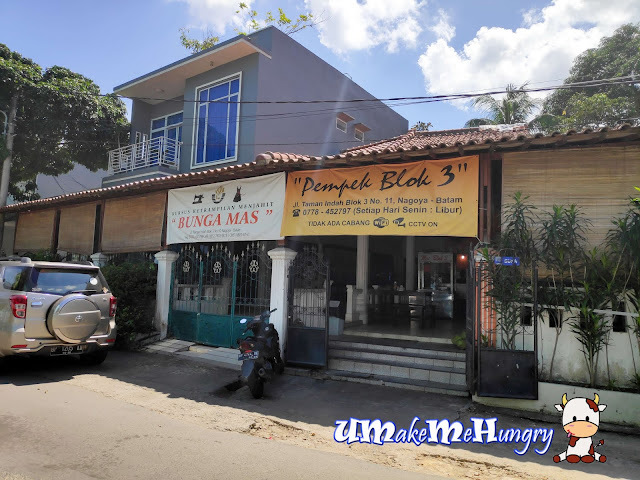 We would not have tried any traditional Indonesian Cuisine if not for their hospitality. Although there are a few chains, this place was recommended for its environment, not too crowded as compared to the ones in the malls. 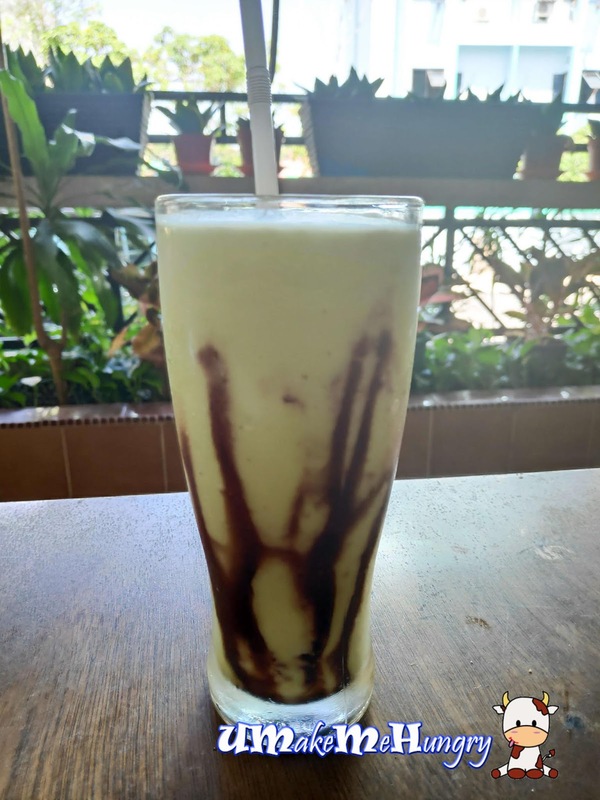 Blending into the Indonesian Culture, we have their popular Avocado Chocolate Milk. Unlike from Singapore, their version was thicker and taste alot different. The weather is hot and one of us had ordered Chendol. It tasted more towards the coconut milk side though. 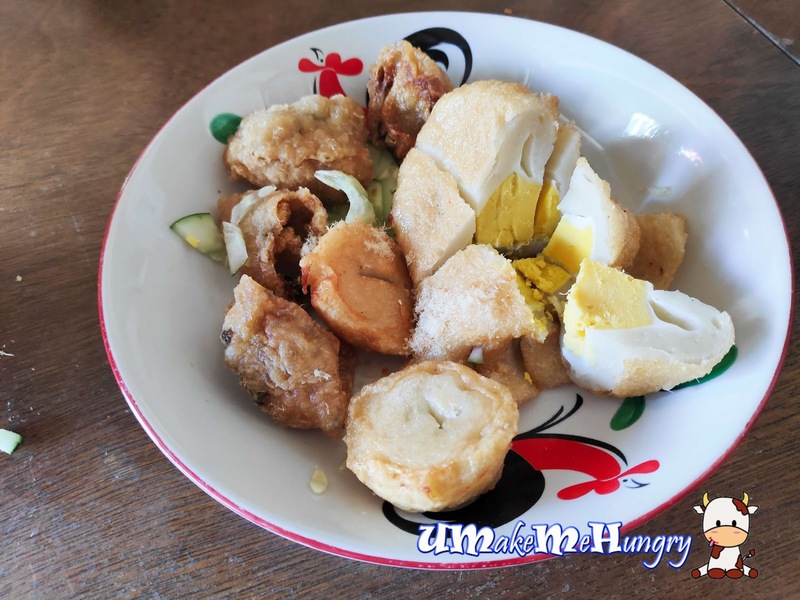 Pempek is a Southeast Asian Fishcake delicacy. It is made up of fish and Tapioca. 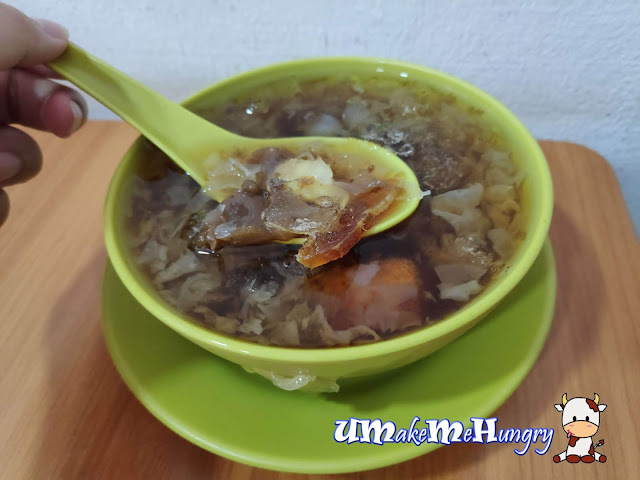 Often served with rich sweet sour sauce named Kuah Cuka or Kuah Cuko. 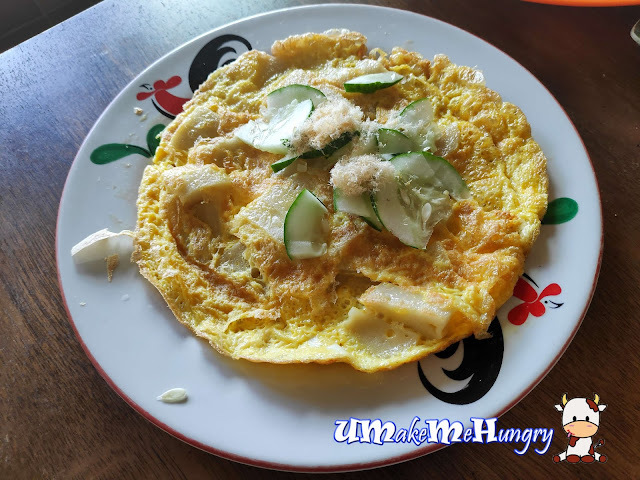 Topped with slices of cucumbers and meat floss, the Fishcake Omelette can be served as a good dish to served among friends. The dish reminds me of Singapore's version "Indian Rojak" which "Rojak" also literally means "Campur. 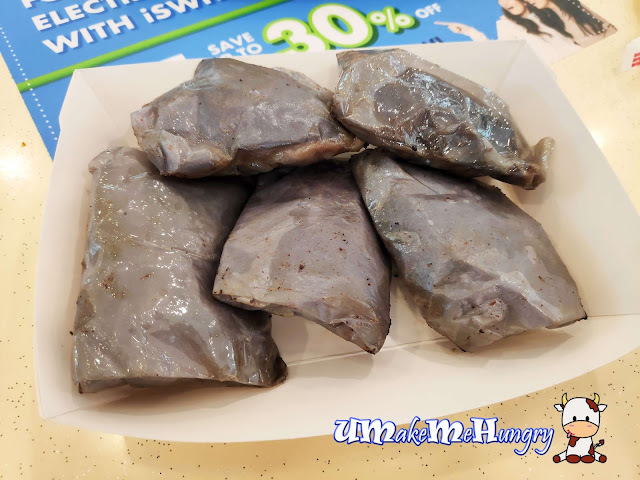 The difference is that items were made with real mackerel fish, they have egg wrapped with Pempek and this entire Savoury Fishcake Delicacy is from Palembang. 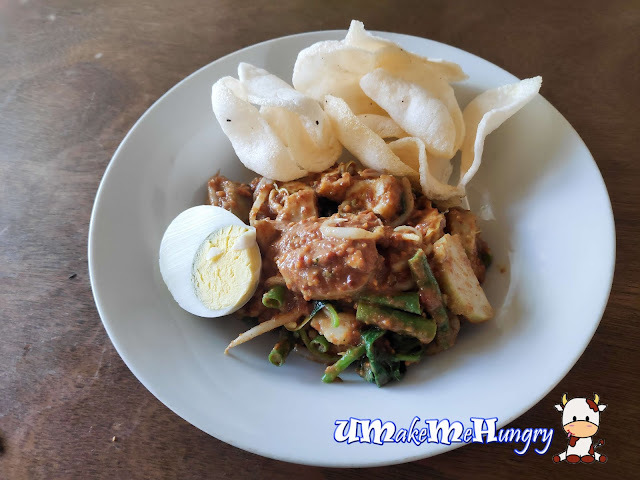 Indonesia's style of Gado Gado, a kind of Vegetable Salad with peanut sauce coupled with some crackers. 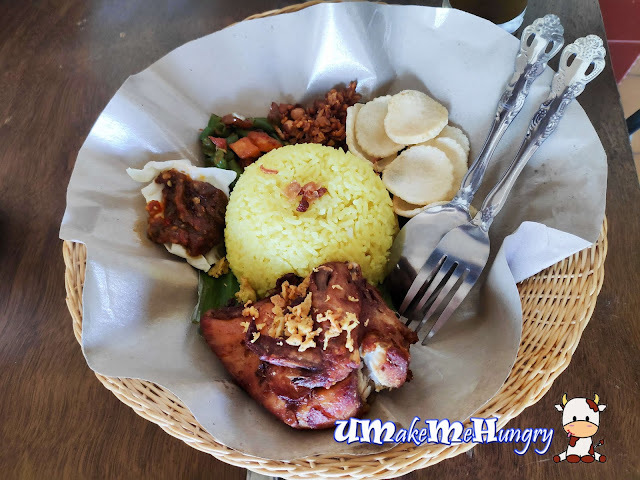 A dish that I will always order while in Indonesia. 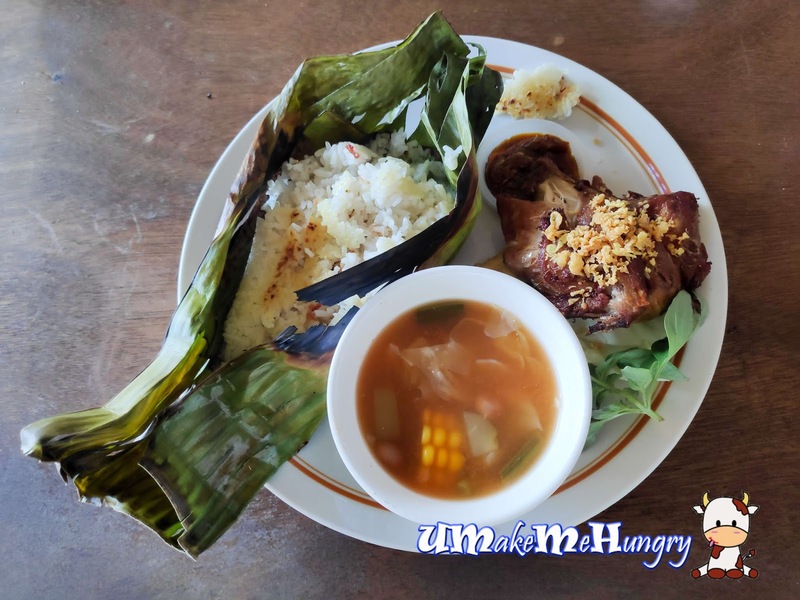 The Traditional Yellow Rice with Fried Spring Chicken was served in a basket decked with grease paper and banana leaf. Ayam was nicely fried and chilli was powerful, giving a good spicy kick. Crackers and diced Tahu come together in the meal. Grilled rice, the traditional way of preparing rice wrapped in leaf. At least it ensure diners that the rice is still kept warm until we releases the heat by opening the packet. It can be ordered with chicken or beef set. 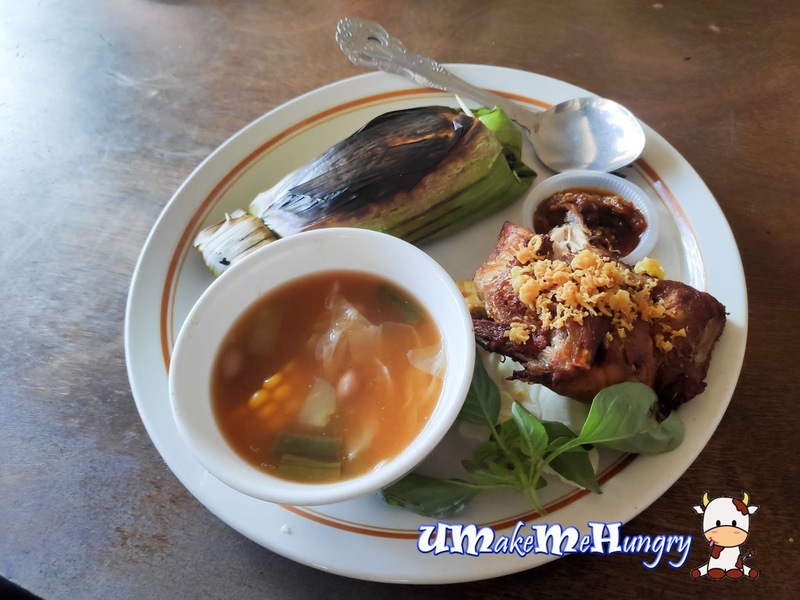 Its a simple and straight forward meal that comes with a bowl of vegetable soup. 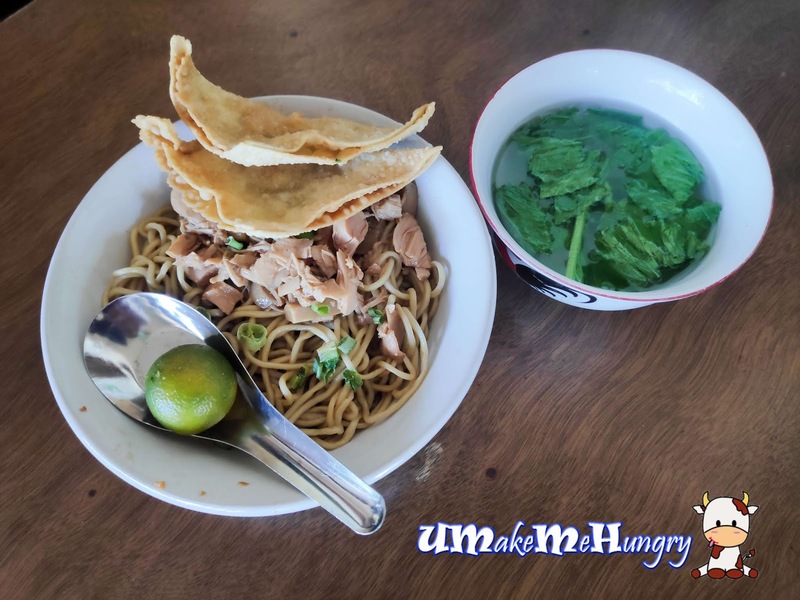 While one of the hosts enjoyed his lunch with a bowl of Mie Ayam aka chicken noodle and it comes with a bowl of soup filled with leafy greens. This place should be easily accessible if you order a Taxi or Grab Car in Batam. 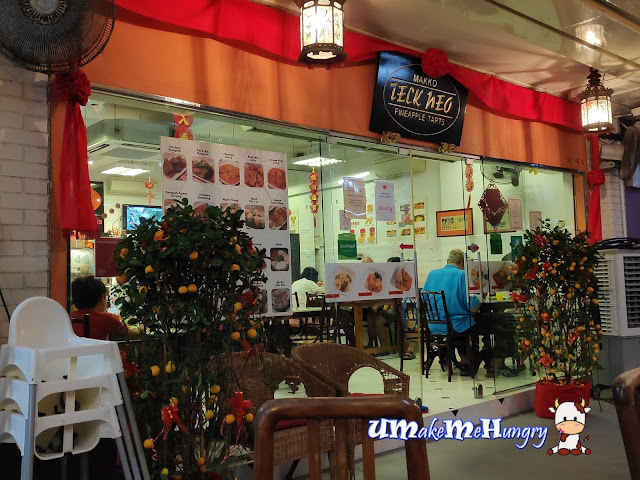 I spotted Makko Teck Neo when I was walking towards the end of the row of shop houses in the old neighbourhood and was dumbfounded by the number of patrons that crowd around this eatery. Comparing to the surrounding quiet estate, this place was bustling and I make note that I will be back for their Peranakan Food but that is a few years later - now. Humble as it seems,visitors will be greeted by the traditional decorations and cosy settings. There were plants, hanging lamps and seatings that reminds you of the 90s. 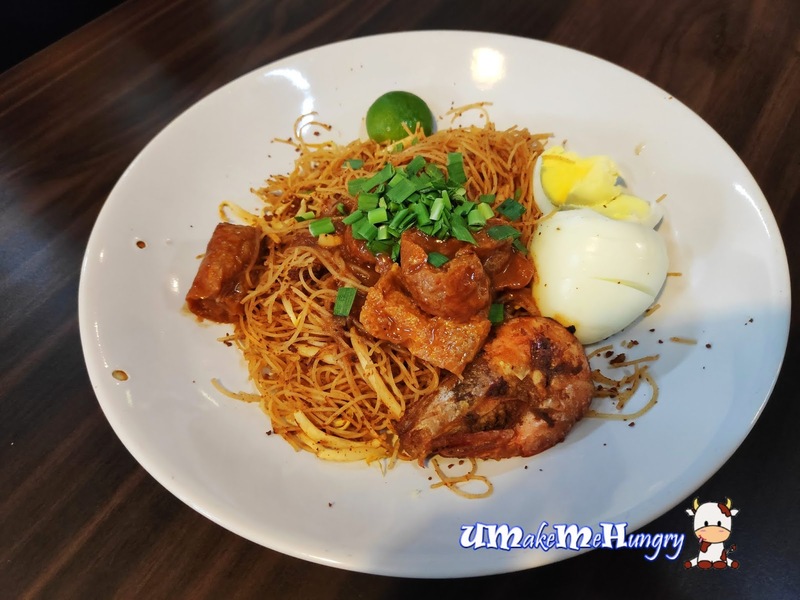 Classified under the Nyona Street Food in the Menu, this "Dry" Mee Siam is one of the recommended dishes that you may not want to skip. We don't often get to see Dry Mee Siam in most places here and this is consider a rare dish. Vermicelli was real spicy with serving of spicy tamarind and coconut sauce. Taste of Nyonya Style Vegetables stew did not disappoint. 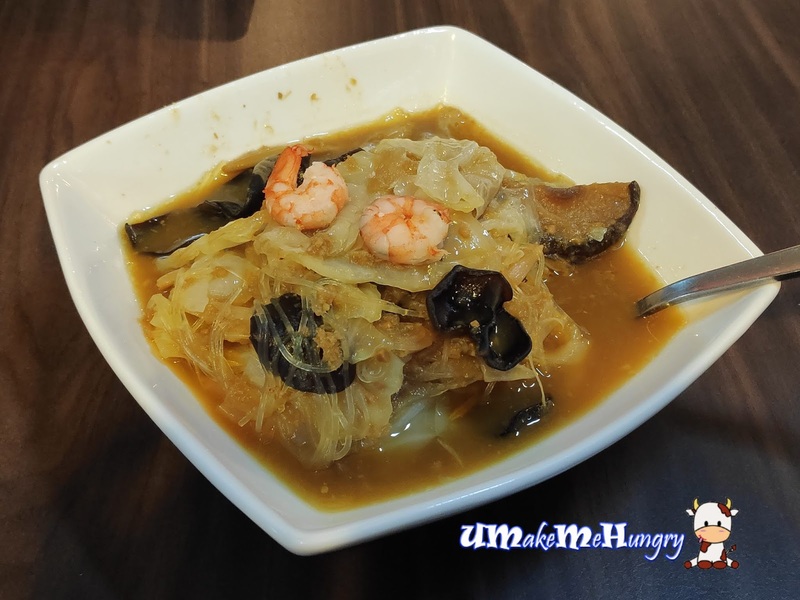 However for a bowl of vegetables, the cost is relatively steep no doubt that it has mushrooms, vermicelli, cabbages, black fungus and prawns. 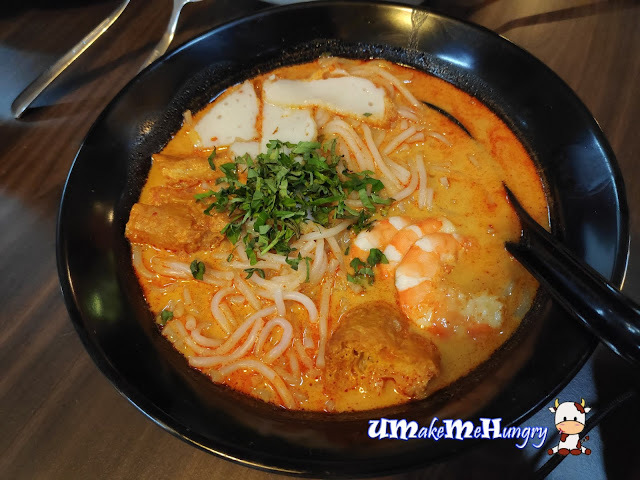 To my suprise, Nyonya Laksa was not spicy. In fact the dry Mee Siam Dish was much more spicier than this. Dish was tasty but it still lack some usual taste. Ingredients like fishcake, taupok, noodles and prawns were included. If you are looking for "hum" aka cockles, they are no where to be found. 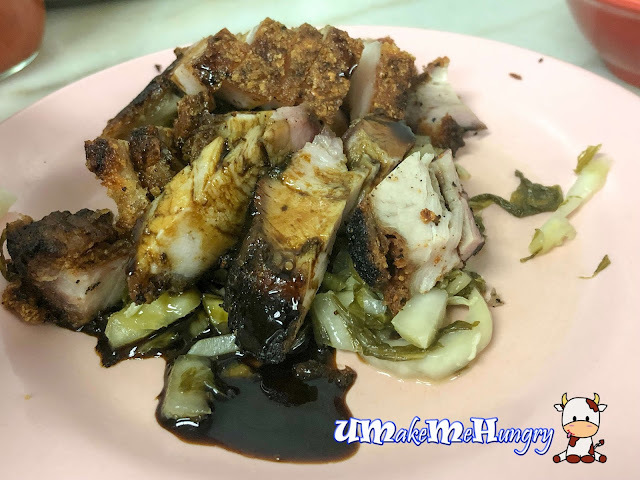 I guess anyone will agree that this is a quintessential dish when we visit a Nyonya Eatery. Gravy was rich and savory with a hints of lemongrass fragrance. 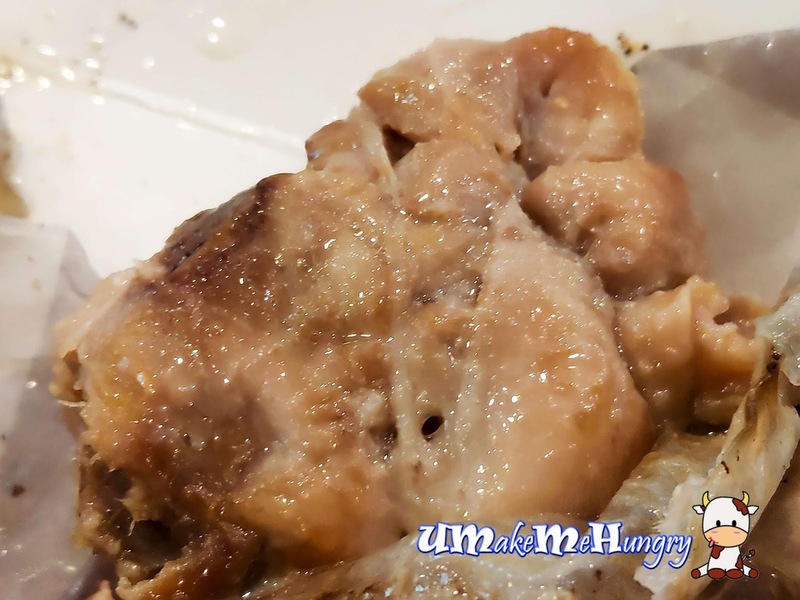 Chicken was braised with pork rib and the popular black nut, Buah Keluak. Special utensils was given to dig out the flesh from the nut. If you will like to have more black nut, they can be bought at additional cost of $2.50 each. 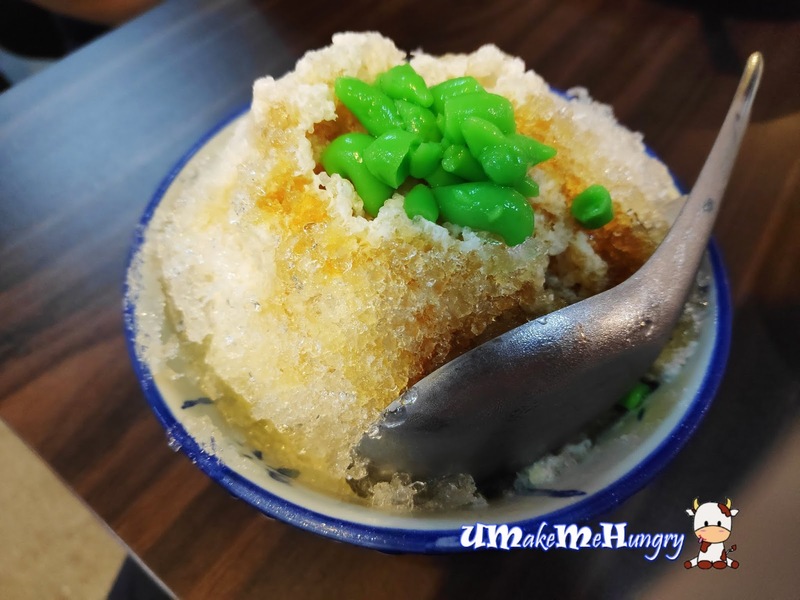 Chendol was not too bad with plump coconut jelly topped the small mountain of ice, drenched with the sweet gula melaka sauce. To my surprise, I found 4 attap seeds underneath. 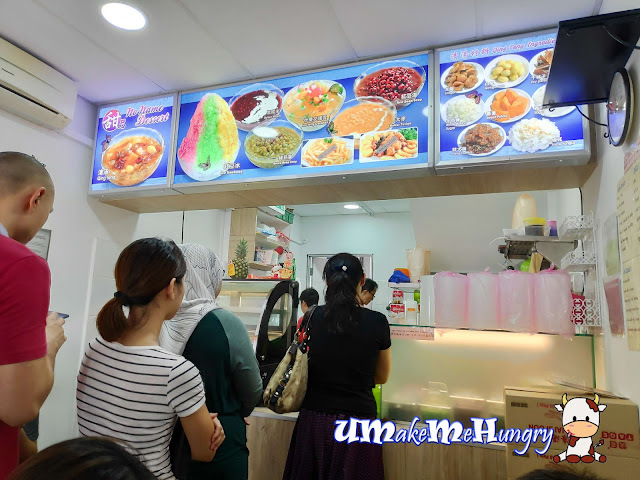 Although we finally get to it here, we did not have enough stomach for other items on the menu. I will like to try out more of their recommended dishes on the menu. Let's make a return trip soon! 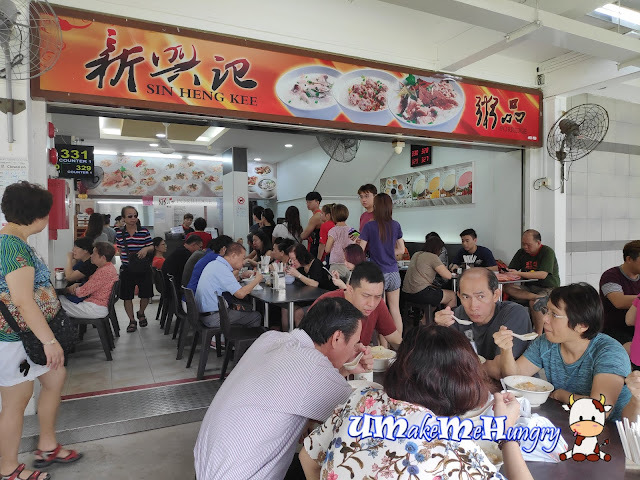 We had never expect that Sin Heng kee is so crowded during a Sunday morning. The entire place was swarmed with tables of families (We can see at least 2 generations in a family Nucleus) enjoying their Breakfast. 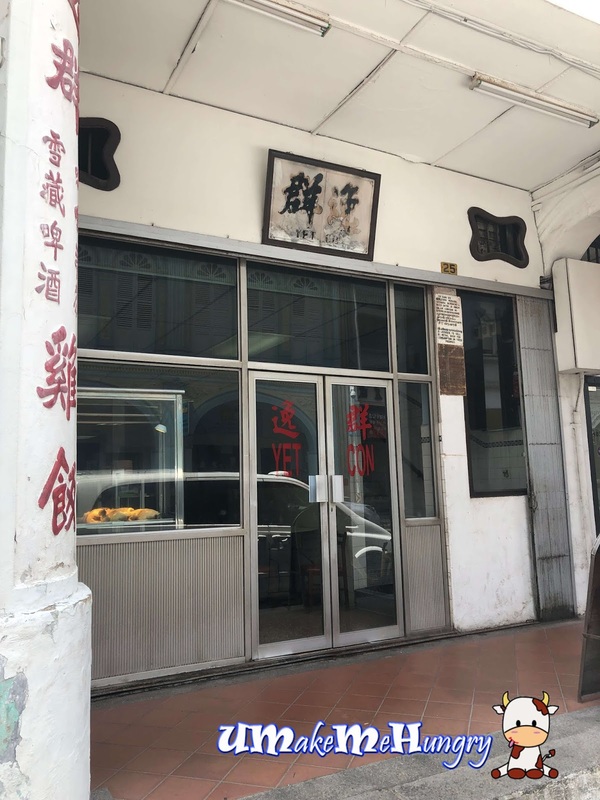 This was my first visit and I don't think that this will be my last too for that I personally feel that this is the best congee that I ever had thus far. It was a challenge during a hot weekend as seats are limited and the waiting time is about 30 minutes time. Ah ha! This is the secret tool to the bowls of thick gooey congee served! Hours in the boiling pot at the right consistency and you will achieve them! If you want a bit of everything, it is best to order their Signature Porridge. Meatball, Century Egg, Egg, Intestine, sliced cuttlefish, pig's liver, sliced fish and sliced pork were all included under the bed of hot congee. Ingredients were tendered and well seasoned. On a side note, I can even taste a hint of herb from the Pig's intestine. I love that the porridge is smooth, thick and gooey which you won't get shortchange with them being too watery. Just break the egg yolk and mix it thoroughly. 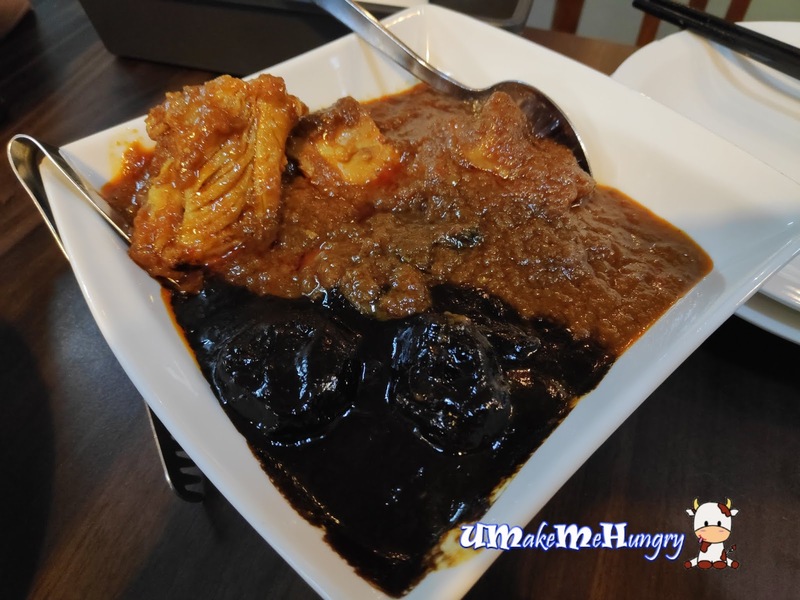 With us being Century Eggs lovers, how can we missed such a good chance to order a place of it when most of them have it placed on their table? 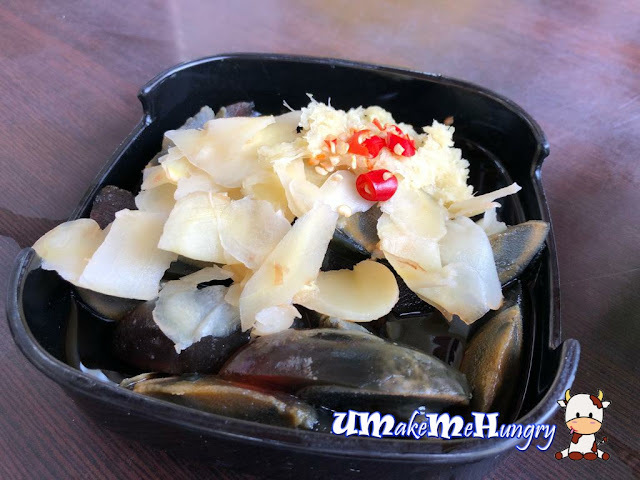 We do love preparing our own century egg with pickled ginger slices and their preparation with additional chilli and garlic had gave us a good idea to pair them. Love that these all went well with the creamy yolk from the century eggs. 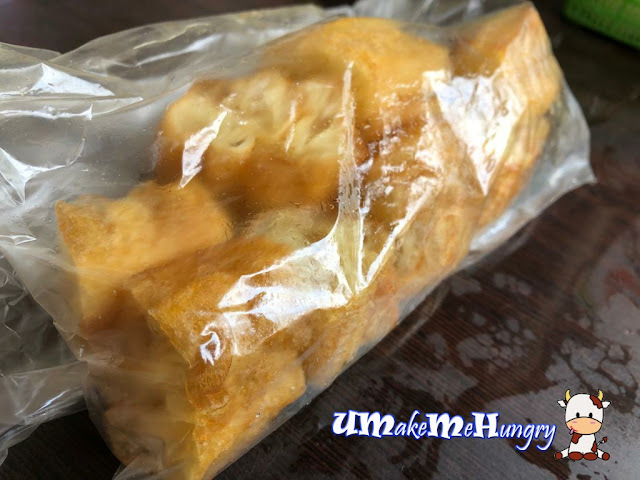 Their You Tiao is sold separately in a bag form and will come together with he order. I guess this is a side that one must order to complete the delicious bowl of congee. Having congee in its take away form, I'm glad that they practice the use of foam box to contain the food instead of the common microwavable clear plastic containers. The food was still kept warm despite keeping for hours. I'm kind of wondering why Yet Con Restaurant was not recommended earlier to me when people discuss tasty chicken rice. 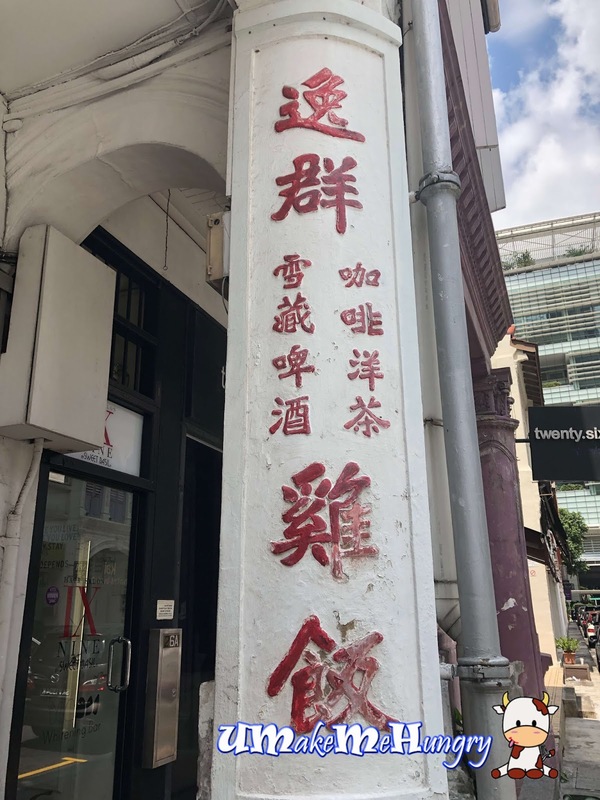 Noticing its faded off traditional Chinese signboard at its facade makes me wonder why are they not keeping up to time renovating the run down eating environment? Perhaps this is the part that makes Yet Con Restaurant so special. It surprised me even further upon entering into the premises. Oh My God! I could not even imagine such traditional environment are still in place. Entering Yet Con area is more like tuning into the time machine back into 60s / 70s coffeeshop style. Furniture looked like it has never been replaced since day one. If you notice at the counter, they still have a coin operated telephone with abacus on it. Besides the boiled chicken, the bowl of chicken rice plays a very substantial part in determine if its worth a returning trip. 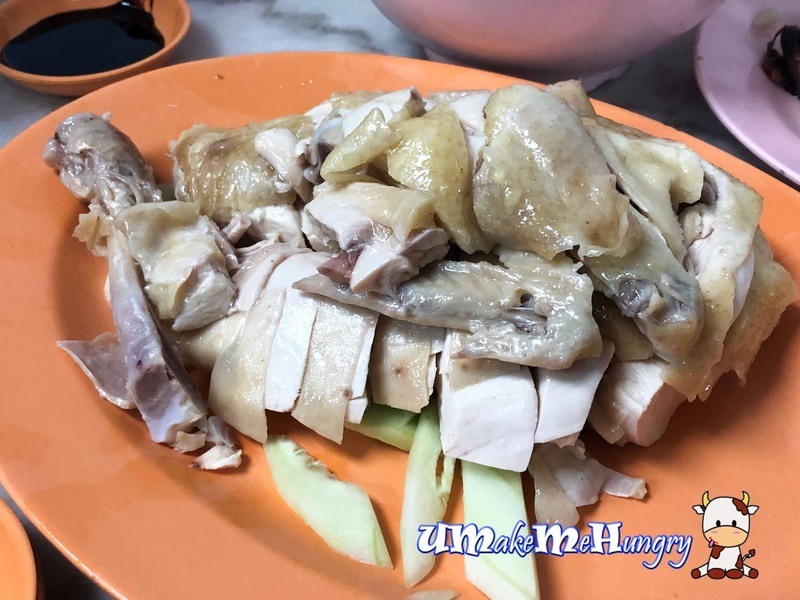 And so to speak, Yet Con style of chicken rice is definitely not the mainstream kind that we have been eating. Grains are soft and fluffy. Even though it might missed out the accentuating ginger and sesame fragrant, they are not greasy and still good on its own. The meal comes with a big bowl of soup and we were served with a ladle to distribute it among ourselves. Crackling skin and delicious meat decked with some sourish preserved salty vegetables. Adding on the dark sauce had completed the dish. Boiled chicken is commendable. 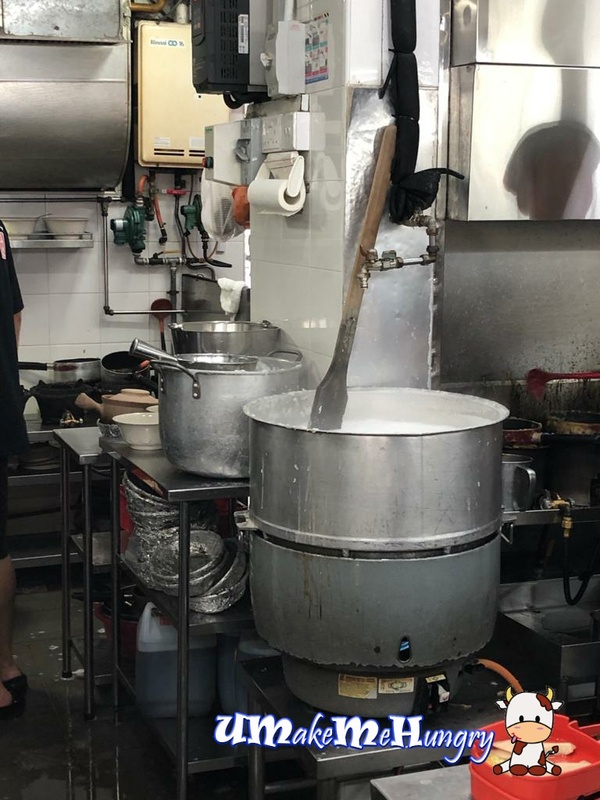 It seems that their preparation method is different, in the traditional Hainanese way. We love that the chicken was plain without sauces, yet without having its taste compromised. 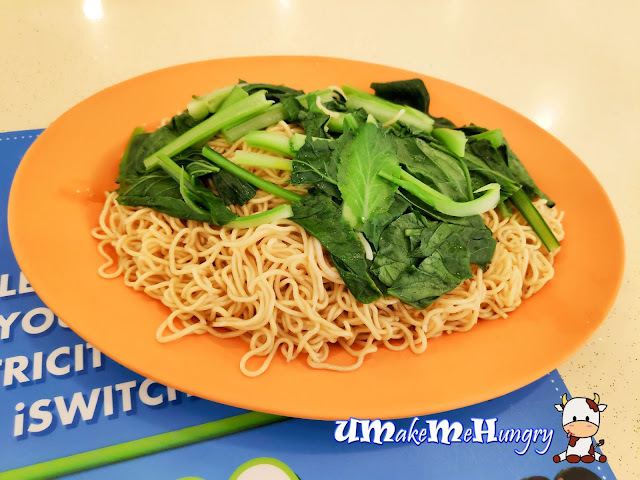 We were surprised that even though it was make do without the additional seasonings, it taste very good in its basic. 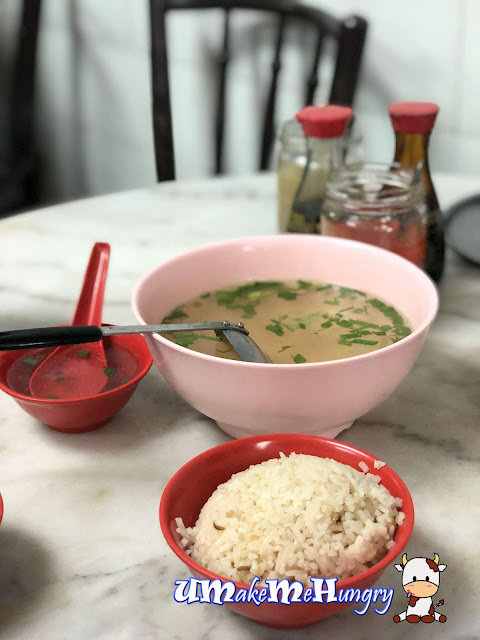 Personally, it tasted unique and more "kampung" style as compared to those that we usually had. If it wasn't Yet Con who has kept such traditional Hainanese Recipe, I guess we would never have been able to try this dialect group's delicacy and would most probably term chicken rice as oily, packed full of fragrant from chicken oil and of course having the boiled chicken drenched in the tasty soya sauce. 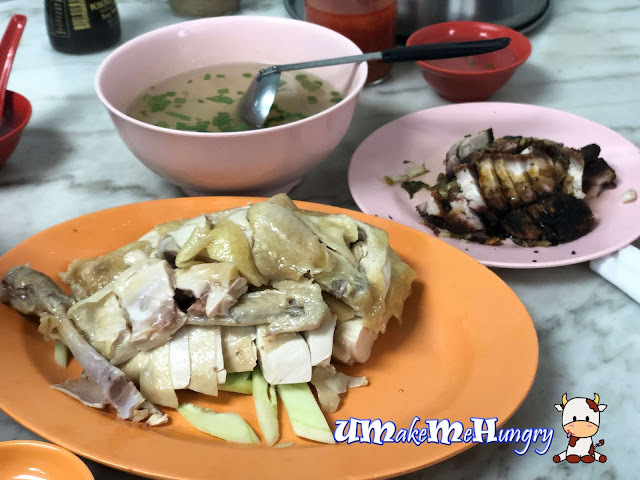 I felt that those who love chicken rice should give Yet Con's a try!